What do you give that friend who has it all? Or that friend who’s on a “diet” and requests alcohol instead of cake for their birthday? C’mon we all have one of those friends, right? Heck, maybe you ARE that friend. 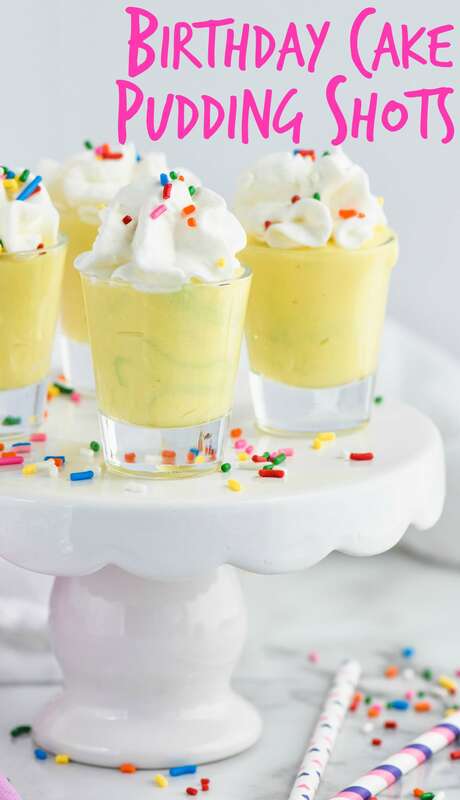 In either case, these Birthday Cake Pudding Shots are the best gift you could offer to your favorite friend or even yourself! These glorious pudding shots are divine! I just may have licked the bowl after taking these photos, you guys. Anyone who loves cake batter (and honestly, who doesn’t?) then these fun little shots are right up your alley. 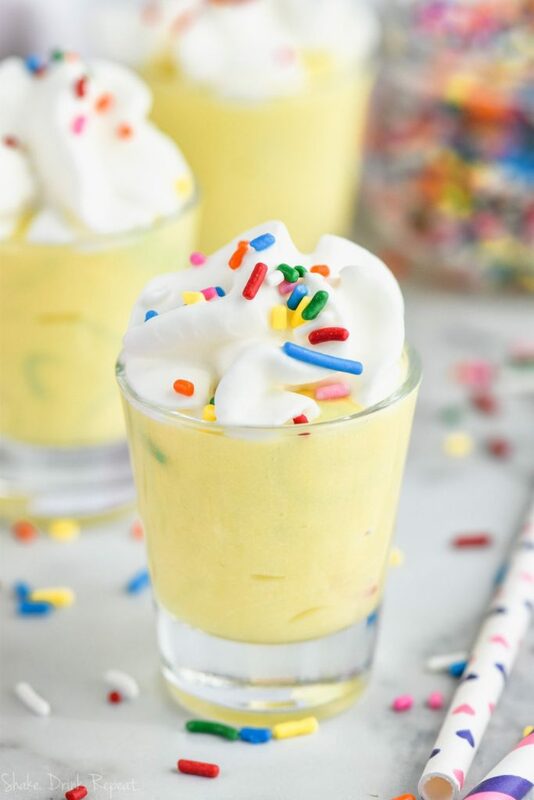 Creamy pudding, cake vodka, whipped cream and sprinkles…it’s just the perfect way to celebrate a special occasion! If you prefer to drink your dessert, you’ve got to try this Boozy Strawberry Milkshake or this Sugar Cookie Martini. This Tiramisu Martini is a show stopper too. WHAT INGREDIENTS DO I NEED TO MAKE BIRTHDAY CAKE PUDDING SHOTS? To make that oh so delicious cake batter flavor and consistency, first grab the box of vanilla instant pudding mix. Add half a cup of dry cake mix. Next add about half a cup of rich, decadent cake vodka. Any brand will do. Mix it all together with a cup of cold milk and chill for two hours. 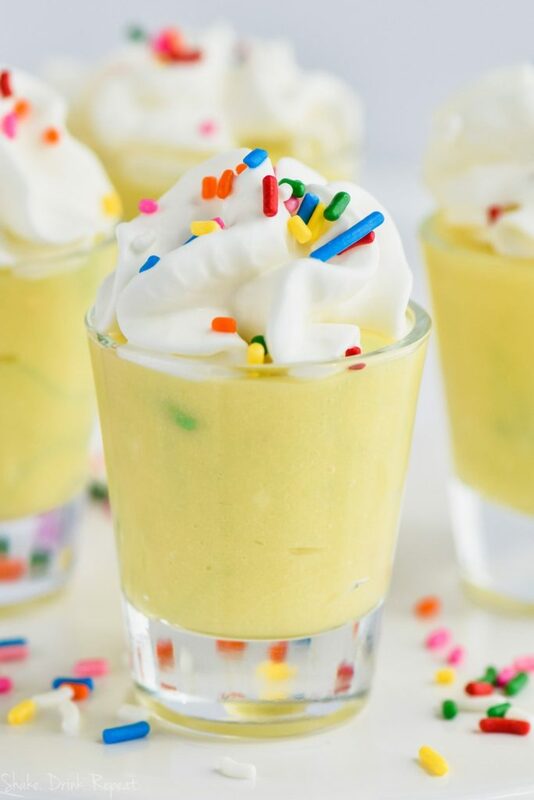 Pour into shot glasses and top with whipped cream and sprinkles. You will be the life of the party with these! And if dessert in a glass options are your jam, try this Samoa Martini, an Orange Dreamsicle Floatini or this luscious Butterscotch Milkshake Cocktail. 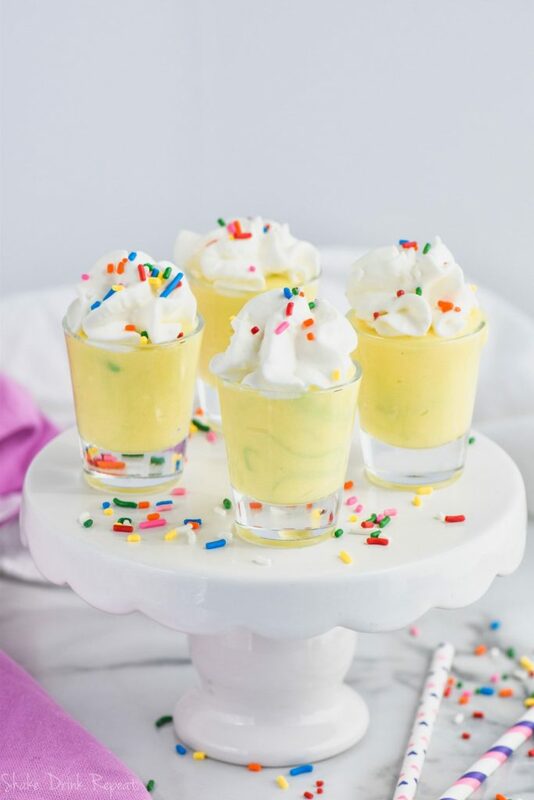 WATCH ME MAKE THESE BIRTHDAY CAKE PUDDING SHOTS! 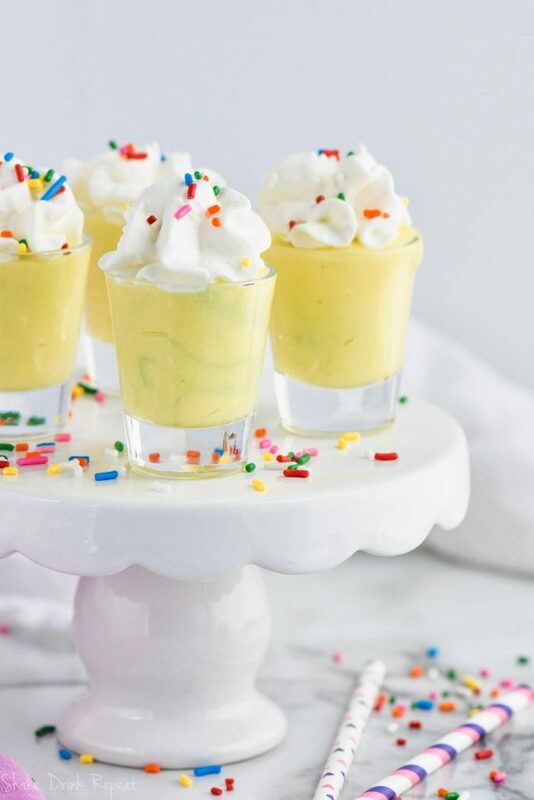 These Birthday Cake Pudding Shots are the only way you should celebrate! Cake Vodka, cake mix, and vanilla pudding! Easy to make and easier to eat! Whisk all the ingredients together and chill for two hours. Serve with whipped cream and sprinkles.